Yes. True. That happens ALL. THE. TIME. But. It does get better. You learn how to focus on a person or a parish or a family or some other specific thing. You also get more comfortable with processing various pieces of information. It gets better because you get better. Here’s the problem though, the better you get, the longer your genealogy to-do list gets. Mine is getting a bit out of control. 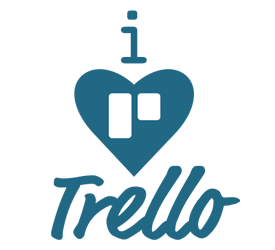 So when I read this post by Rachel over at It’s All Relative, I thought I would give Trello a try. Guess what? It’s pretty cool. I’m not using it heavily but I am using it. Hopefully it will help me get my many lists more organized and helpful. How do you keep your genealogy to-dos organized? I am giving Trello a try out. Its been a little over a week. I am just not use to using sites like this. Something I have to work on. I don’t usually like electronic calendars and organizational systems. I like that I can log in to Trello from anywhere and I like the layout. It works for my brain. Hopefully it helps us both! I am going to give that a try! A list like that at my fingertips would be great for when I travel to repositories hours away. I have a tendency to get home and realize I forgot someone to research! I totally agree that it helps to focus on a specific person or thing. I probably went to the extreme–but, my goodness–I’ve been focusing on one person for more than 3 years now, and am enjoying every moment. I really enjoy your blog. I think your project is wonderful!